Thank you to the fabulous Lorraine over at Fabulous 4th Grade Froggies for giving me this award! 1. Thank the person who gave this award and write a post about it. 2. Answer the following questions below. 3. 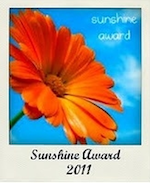 And pass the award to fabulous bloggers, link their blogs and let them know you awarded it to them. Giving or getting presents? Giving to others! Favorite day? Friday- I look forward to weekends off with my little guy, Sebastian! :0) Mommy loves you! And now I am bestowing upon you the Versatile Blogger Award! Come on over and pick it up! GIVEAWAY YOU WON'T WANT TO MISS! What Teacher Doesn't Like a Timesaver?!? Your Students Can Be Eggsperts! It's a Bird, It's a Plane, It's Math in the Sky! HO! HO! HO! IT'S A CHRISTMAS CONTEST FOR YOU! Cute Christmas Freebie from a Friend! My New Favorite Tool- EXPO Bright Sticks! The Ultimate Christmas Unit is here!